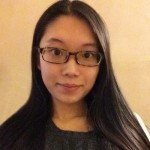 Lynette Chen joined Techna in April 2015 as a research clerk. Most recently, she worked for the Department of Radiation Physics at the Princess Margaret Cancer Centre, where she provided secretarial and clerical services in support of administrative staff and physicists. Lynette earned a Master’s in Language and Literacies Education from the University of Toronto and served as a research assistant for Department of Applied Psychology & Human Development, OISE. Lynette loves reading, painting and traveling. Life makes its turns and she learns to go with the flow, never forgetting to “smell the roses”.